It was there at his birth. It followed him throughout his life, over the course of his career, and when Mark David Chapman shot him outside of The Dakota on a frosty night in 1980, it was there to ferry him into oblivion. And no – it wasn’t a person or a presence that loomed over all of John Lennon’s 40 years. The number 9 first appeared in John’s life on the day he was born – Wednesday, October 9, 1940 at 6:30am, before following the future Beatle to his first home at 9 Newcastle Road in Wavertree, Liverpool. At first, it sounds like coincidence. That is, until you realize that the words ‘Wednesday,’ ‘Newcastle,’ ‘Wavertree,’ and ‘Liverpool’ all have 9 letters and the numbers 6 and 3 in John’s 6:30am birth time add up to a solid 9. As he grew, the number 9 and variations of it continued to follow John and interestingly enough, it was always to moments in time that would prove to be key moments in John’s life and career. It was in the #72 bus John took to Liverpool Art College (7+2 = 9), where a friendship with Stuart Sutcliffe (9 letters) turned into an invitation to join his band The Quarrymen (also 9 letters) alongside a young man named Paul McCartney (yep, you guessed it: 9 letters). It was in The Beatles’ first performance at the Cavern Club on February 9, 1961 – and when future manager Brian Epstein stumbled across them 9 months later in November, it was on the 9th day of the month – beginning a business relationship that resulted in Epstein securing a deal with EMI on May 9th, 1962. John’s run-ins with the number 9 didn’t stop there; if anything, the instances where it occurred in his every day life only increased as The Beatles’ fame increased around the world. In fact, perhaps the most famous instance of the number 9 showing up is in the biggest moment of the band’s career: their Ed Sullivan Show debut, which took place on February 9th, 1964 and marked the official beginning of Beatlemania in the United States. Naturally, John started to take notice. He began writing songs that included the number 9 in them, the earliest being The Beatles’ “One After 909,” originally recorded in March 1963 but ultimately was re-recorded for Let It Be, the last album released by the band in May 1970. Perhaps even more interesting is the fact that the number 9 factors into three other major moments in John’s life: the day he met Yoko Ono (November 9th), the day their son Sean was born (October 9th, which coincidentally was also John’s birthday), and when he was shot in front of The Dakota building on West 72nd street as he and Yoko were on the way to their apartment…#72. 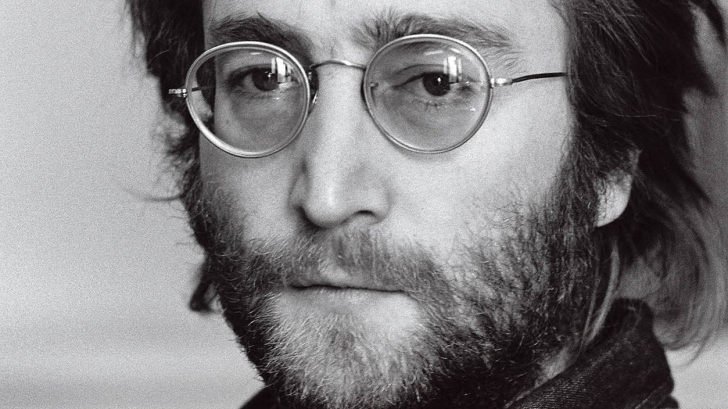 John was rushed to Roosevelt Hospital (9 letters in Roosevelt) on 9th avenue in Manhattan (9 letters in Manhattan), but despite aggressive attempts to save his life, was pronounced dead at the age of 40 at 11:15pm on December 8th, 1980 – but due to the time difference, it was December 9th in Liverpool, where his story began in 1940. In Numerology, the number 9 is the symbol of wisdom and initiation. Highly emotional and spiritual, people with the life path of 9 have a tendency to save the world and as such are viewed as “very wise or very crazy” by the world at large. Their life goal is to do good and change the world, hopefully leaving it much better than they found it – but conversely, 9 folks can be egoistic with a tendency to attract trouble and among many possible negative qualities are their penchant for martyrdom, idealism, and emotional polarity. While John wasn’t a 9, he did reveal shortly before his death that “numerologically, apparently I’m a number six or a three or something, but it’s all part of nine,” which makes sense and explains a great deal about him, if you’re into that sort of thing. Numerology number 9 has the qualities of all the numbers 1-8. If you add 1+2+3+4+5+6+7+8 you get 36 and if you add 3+6, you get 9. Was John Lennon’s life fated from the very beginning? We’ll never know. One thing’s clear, though: he sure did make the most of it, fated or not.